Switchfoot just gets better and better and better. Now more than 20 years into their career, Switchfoot has surely made an indelible mark on rock music (even if they don’t get the credit) and from the sound of it they have hit a new stride with results that deliver production wise and for their own brand of progressive rock. The San Diego based quintet played Oregon in back-to-back nights in Eugene at McDonald Theatre and Portland at Crystal Ballroom on Tuesday and Wednesday, respectively, as they near the end of their Native Tongue tour playing a solid 18 song set in Eugene and 20 songs in Portland – each night reaching an hour and 45 minutes. 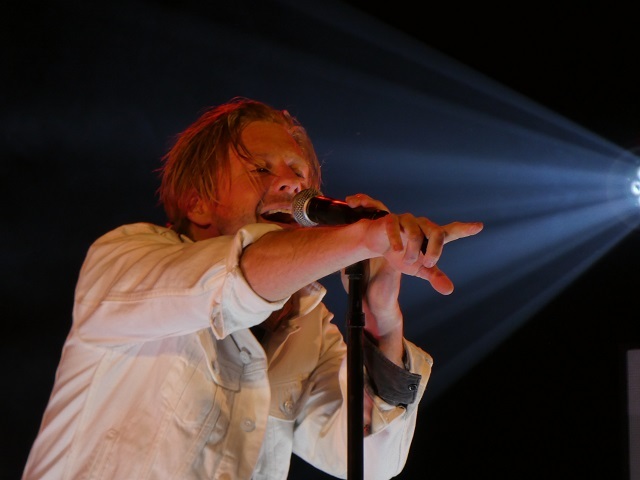 The crowd in Eugene was quite a bit smaller than Portland but both brought out the passionate fan base that helps Switchfoot come alive every few years with new material and a live show that rivals any of the top bands touring arenas today. Look out Bon Jovi you have certainly found a worthy opening act for this summer’s European tour! Switchfoot mixed up the setlist for both nights keeping a core structure featuring “Take My Fire,” off the new album, audience favorite “Meant to Live” and the hard rock classic “Stars” to open the evening. Eugene fans got tour firsts with “When We Come Alive” and “Where the Light Shines Through” along with the deep album cut “Souvenirs” which got requested on social media. 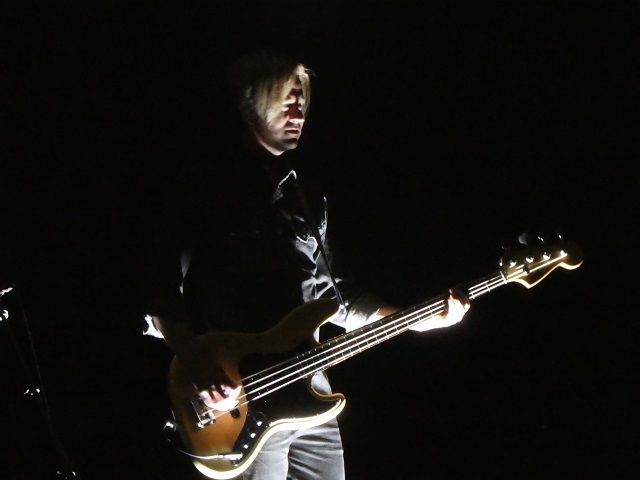 If taken at face value, that indeed Switchfoot answers fan requests whether on social media or from the crowd, the band demonstrated a pretty remarkable turn-around time in dialing in songs they haven’t spent much time on. Though “Liberty” came off pretty casual (proof, perhaps, of the spontaneous request), the band was on-point both evenings as lead guitarist Drew Shirley ripped solid chords all night giving some added soul to “Meant to Live,” “Live It Well” and “Needle and Haystack Life” while singer Foreman (really love his tone) sounded fresh both nights, all night even with more than 40 concerts in the last couple of months under his belt. But perhaps the best moment of the evening and certainly most touching was the introduction of guitarist and keyboardist Jerome Fontamillas who was diagnosed with cancer late last year and had a kidney removed in December as a result. He showed no ill effect from the illness and Foreman proudly introduced him as “cancer free” to the joy of a rousing audience that included a lot of those early fans with sons and daughters in tow. The stage show in Eugene was probably the best I’ve ever seen from Switchfoot with an appropriate sized background screen for videos and a masterful light show. Bubbles came out for “Float” and confetti canons helped cap off the evening but both props remained silent in Portland. The tighter confines of the Crystal Ballroom ( I will gladly play twice as much, no!, three times as much to see Switchfoot at Revolution Hall – fat chance as Foreman said “This is one of our favorite rooms in America.” WHY?!) keep the band a but squished (and the audience) on stage but doesn’t keep Foreman from venturing into the crowd, microphone in hand, slapping high-fives, grasping fans’ hands with the other and occasionally getting a boost from fans as he sings while lying on his back propped up by the masses. Switchfoot has mastered rock music, and now the stage show, have 11 studio albums and a core group of musicians who seem to love one another, making music and their fans. Nothing is sound, but seems as though they can only go up from here. Sounds like a couple of fun nights.. Both great shows. I really enjoy them. Best yet I think!